Jasper String Quartet, featuring Qing Jiang on piano, will perform on Sunday, March 3 at 2 p.m. at the Weis Center. The ensemble includes: J Freivogel and Karen Kim, violins, Sam Quintal, viola and Rachel Henderson Freivogel, cello. While at the Weis Center, they will perform Joseph Haydn: Quartet in Bb Major Op. 76 No. 4 ‘Sunrise’, Joan Tower: Wild Summer (2018 commission for the Jasper String Quartet), Shelley Washington: Middleground and Dvořák: Piano Quintet No. 2, A major, Op. 81, featuring Qing Jiang on piano. “The Jaspers…match their sounds perfectly, as if each swelling chord were coming out of a single, impossibly well-tuned organ, instead of four distinct instruments” (New Haven Advocate). 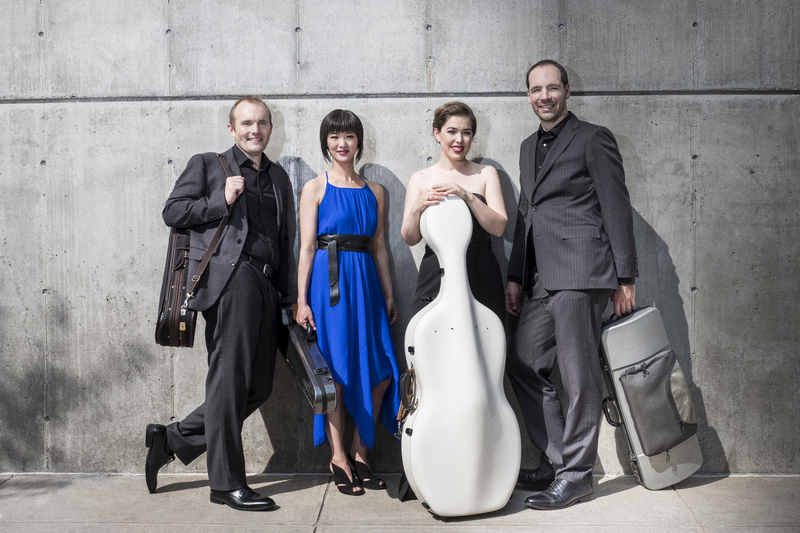 Winner of the prestigious CMA Cleveland Quartet Award, Philadelphia’s Jasper String Quartet is the Professional Quartet in Residence at Temple University’s Center for Gifted Young Musicians. “The Jaspers” have been hailed as “sonically delightful and expressively compelling” (The Strad) and “powerful” (The New York Times). The Jasper Quartet’s repertoire is based on material of emotional significance to its members, ranging from Haydn and Beethoven through Berg, Ligeti, and living composers. They have commissioned string quartets from some of today’s foremost composers, including Andrew Norman, Nicholas Omiccioli, Conrad Tao and Annie Gosfield, in addition to Aaron Jay Kernis. Residencies have included the Melba and Orville Roleffson Residency at the Banff Centre, where they performed “guerrilla chamber music” concerts in unusual settings around Alberta, Canada. They have been Ensemble-in-Residence at Oberlin Conservatory and, in conjunction with Astral Artists, received a Chamber Music America grant through its Residency Partnership Program for work in Philadelphia schools. They were the Ernst C. Stiefel String Quartet-in-Residence at the Caramoor Center for Music and Arts for two consecutive years, an unusual honor. Their competition successes include the Grand Prize and the Audience Prize in the Plowman Chamber Music Competition, the Grand Prize at the Coleman Competition, First Prize at Chamber Music Yellow Springs, and the Silver Medal at the Fischoff Chamber Music Competition. They were also the first ensemble honored with Yale School of Music’s Horatio Parker Memorial Prize, an award established in 1945 and selected by the faculty for “best fulfilling… lofty musical ideals.” In addition to their concert schedule, they continue their work in the Philadelphia Public Schools through Astral Artists’ Colors of Classical Music, a project funded through a grant from the William Penn Foundation. The quartet records exclusively for Sono Luminus and have released Beethoven Op. 131; The Kernis Project: Schubert; The Kernis Project: Beethoven; and Unbound, exclusively featuring contemporary composers. Formed at Oberlin Conservatory, the Jasper String Quartet studied with James Dunham, Norman Fischer, and Kenneth Goldsmith as Rice University’s Graduate Quartet-in-Residence. The quartet continued its training with the Tokyo String Quartet as Yale University’s Graduate Quartet-in-Residence. It takes its name from Jasper National Park in Alberta, Canada. The quartet receives career development support from Astral Artists and is represented exclusively by Dispeker Artists. Praised by the New York Times as a “fiery musician” whose playing is “vigorous and passionate,” Qing Jiang has emerged as a versatile musician who is equally known as a performer, teacher, and an advocate of contemporary music. Dr. Jiang performed under legendary conductor and composer Oliver Knussen with the Britten-Pears Orchestra in England, as well as with the Chattanooga Symphony, the Adrian Symphony, the Lanzhou Symphony Orchestra in China, and with numerous festival and collegiate orchestras. A native of Zhenjiang, China, Dr. Jiang was the first Chinese recipient of Jack Kent Cooke Arts Scholarship. Her principal teachers include Caio Pagano, Robert McDonald, Wha Kyung Byun, and the late Patricia Zander. 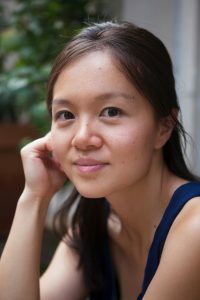 Dr. Jiang is currently Assistant Professor of Music at Bucknell University, and Piano Faculty at the Kneisel Hall Chamber Music School and Festival in Maine. She previously taught piano, chamber music, and theory at New England Conservatory, the NEC Preparatory School, the Curtis Institute of Music, and the Yellow Barn Young Artist Program.